Fr. 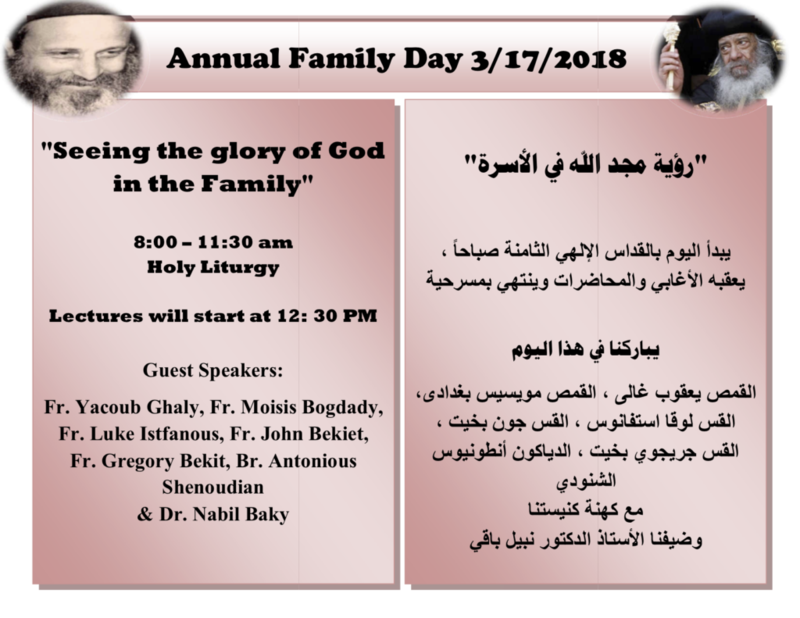 Yacoub Ghaly, Fr. Moisis Bogdady, Fr. Luke Istfanous, Fr. John Bekiet, Fr. Gregory Bekit, Br. Antonios Shenoudian & Dr. Nabil Baky. يعقبه الأغابي والمحاضرات ، ويختتم اليوم بمسرحية هادفة. Due to the inclement weather, the services of the afternoon are cancelled for today Wednesday, March 7th. .نظرا لظروف الطقس القاسية تقرر إلغاء جميع الخدمات المسائية اليوم الأربعاء 7 مارس. The church would like to congratulate Fr. 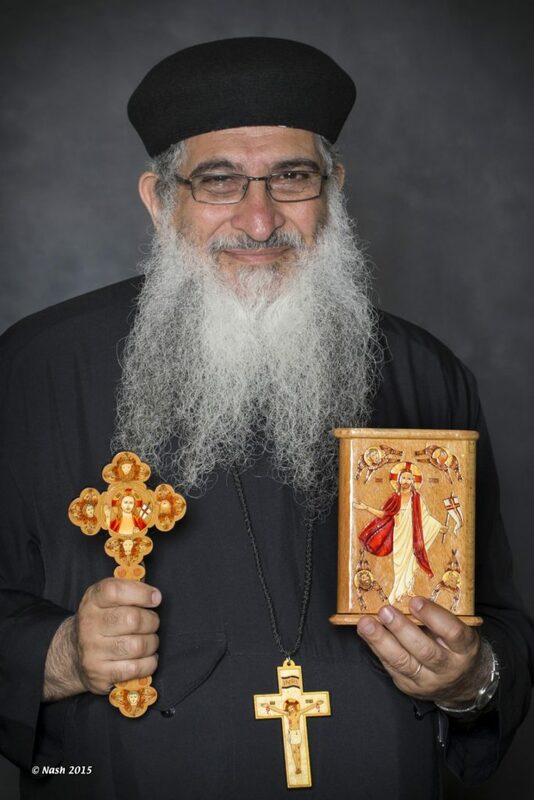 David Bebawy on the 31st anniversary of his priesthood. We pray that the Lord will continue to bless his service. Due to the severe weather forecast warnings all church services will be CANCELLED, for tonight March 2, 2018. نظرا لتوقعات الطقس القاسية تقرر إلغاء جميع الخدمات المسائية اليوم الجمعة 2 مارس. The church will remember our beloved Fr. 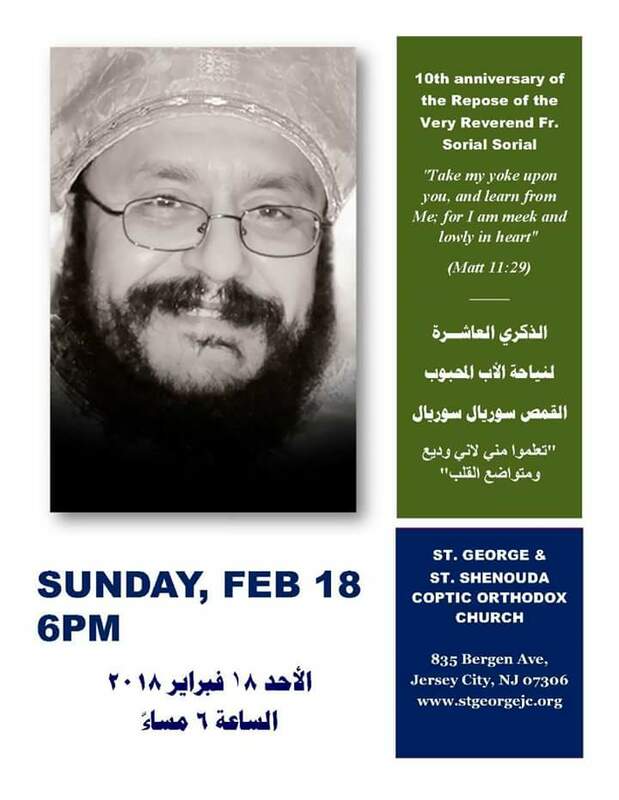 Sorial Sorial this Sunday, February 18, 2018 at 6pm on the 10th Anniversary of his repose. Our dear Abuna Sorial, remember us before the Lord!